Cloud Linux SSD Web Hosting starting from £2.99 p/m - 1st Month only £1! Our easy to use shared SSD Linux cloud web hosting is instantly activated once your order has been confirmed. You can start to use your web hosting straight away and upload your website immediately. Our packages are feature rich and are deployed on the Red Hat Enterprise platform on cloud based servers. All this at cost effective prices to suit you. Low cost hosting suitable for beginners and novices starting a website. Each one of your mailboxes are 10GB as standard no matter how many mailboxes you have and its not counted towards your allocated plan disk space which is entirely separate. Easily install an app from over 60+ avaliable. Popular apps like WordPress, Magento, Prestashop, Joomla and many more are included as standard which can be installed in 1-click. Our shared hosting servers are located in state of the art datacenters in London, Manchester and Leeds. Providing resiliency & ultra-high levels of security means that your data is always safe. 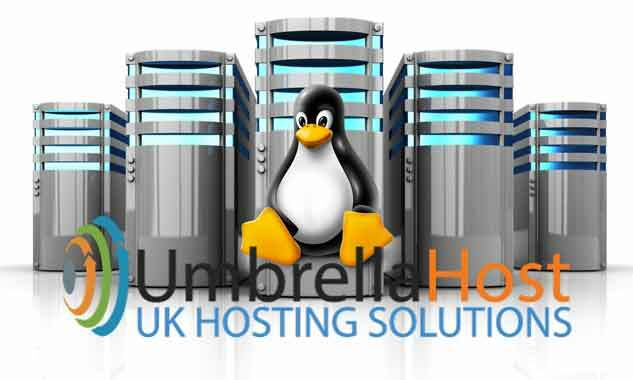 Your Linux shared web hosting plan with Umbrella Host comes with all the features you need to get your site up and running fast. We dont limit our features. The only difference in our shared Linux hosting plans is the amount of domains, disk space, bandwidth and MySQL databases that you require. Everything else is included as standard.